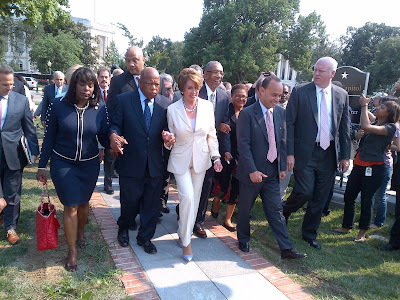 Nancy Pelosi, members of the Congressional Black Caucus, and other Democrats walk out of House Chambers as Republicans vote to hold AJ Eric Holder in contempt over "Fast and Furious"
As dozens of their colleagues exited the House Chambers in protest, seventeen Democratic congress members chose to stay behind and vote with the Republican majority to hold Attorney General Eric Holder in contempt over the non-scandal that is "Fast and Furious". Remember these names: Altmire, Barrow, Boren, Boswell, Chandler, Critz, Donnelly, Hochul, Kind, Kissell, Matheson, McIntyre, Owens, Peterson, Rahall, Ross, Walz. Better yet, make sure the DCCC remembers their names too. With friends like these, who needs enemies? To understand why this vote is such a farce, I highly recommend reading Fortune magazine's epic takedown of "Fast and Furious". Issa's claim that the ATF is using the Fast and Furious scandal to limit gun rights seems, to put it charitably, far-fetched. Meanwhile, Issa and other lawmakers say they want ATF to stanch the deadly tide of guns, widely implicated in the killing of 47,000 Mexicans in the drug-war violence of the past five years. But the public bludgeoning of the ATF has had the opposite effect. From 2010, when Congress began investigating, to 2011, gun seizures by (the ATF) in Phoenix dropped by more than 90%. 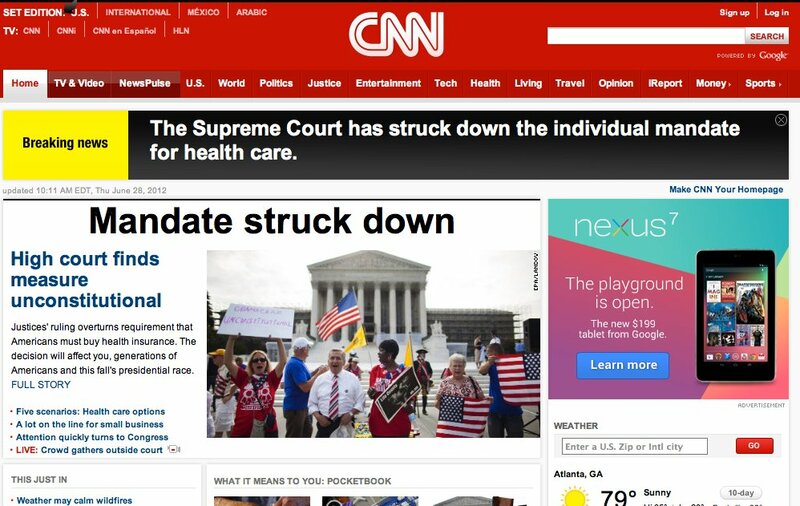 SCOTUS rules 5-4 that "Obamacare" is constitutional, with Justice Roberts - not Kennedy as conventional wisdom held - the deciding vote. For those of you out there who worked your tails off - phone banking attending healthcare reform town halls and making sure your reps got to know you on a first-name basis - to make the Affordable Healthcare Act a reality, this one is for you. Your work was not in vain. The Affordable Care Act, including its individual mandate that virtually all Americans buy health insurance, is constitutional. There were not five votes to uphold it on the ground that Congress could use its power to regulate commerce between the states to require everyone to buy health insurance. 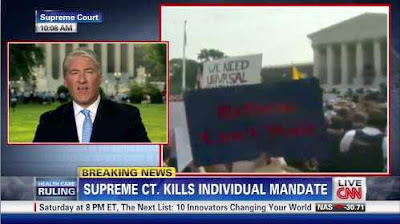 However, five Justices agreed that the penalty that someone must pay if he refuses to buy insurance is a kind of tax that Congress can impose using its taxing power. That is all that matters. 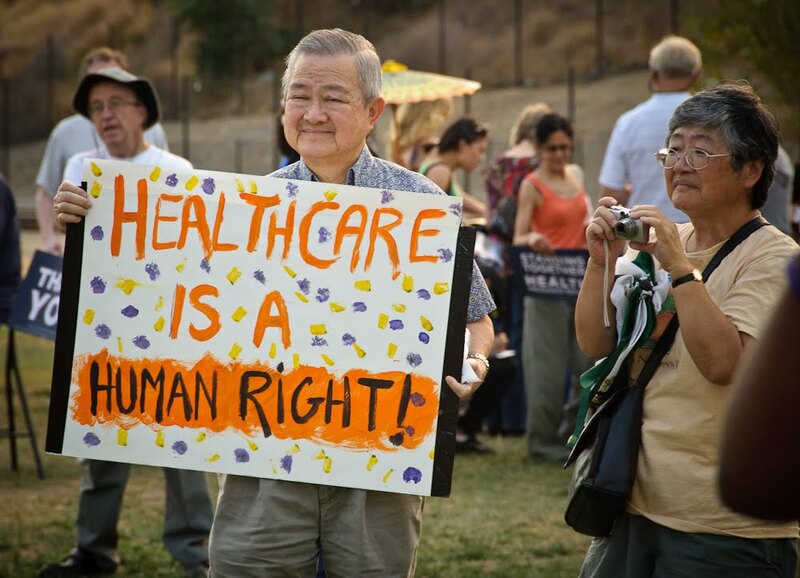 Because the mandate survives, the Court did not need to decide what other parts of the statute were constitutional, except for a provision that required states to comply with new eligibility requirements for Medicaid or risk losing their funding. On that question, the Court held that the provision is constitutional as long as states would only lose new funds if they didn't comply with the new requirements, rather than all of their funding. *Evidently, CNN didn't see this coming either. Check out these screenshots! With 100% of precincts reporting, the race for the 50th Assembly District ended with an upset, with community organizer Torie Osborn ending up in third place, and the Democratic Mayor of Santa Monica Richard Bloom and Democratic Assemblywoman Betsy Butler surviving the June primary - only to face each other again in November. Butler squeaked into first place by only 102 votes. Her boss, Assembly Speaker John Perez, spent over a million dollars to get Butler those votes. But while he was busy waging a battle against Torie Osborn in AD50, he lost the war for AD66, and ultimately the 2/3rds majority Democrats desperately needed to break Republican obstruction in Sacramento. The Democratic candidate in AD66, Al Muratsuchi, came in first against his Republican opponents and will face off against millionaire Republican Craig Huey in the fall. But while good news for Democrats in the short-run, the numbers look dismal for Muratsuchi in November. With 100% of precincts reporting, Muratsuchi garnered 22,000 votes while his Republican opponents Huey and Nathan Mintz combined received nearly 33,000 votes. Mintz will certainly endorse Huey, so expect Republican voters to fall in line for the general election. That's a hell of an enthusiasm gap to overcome. 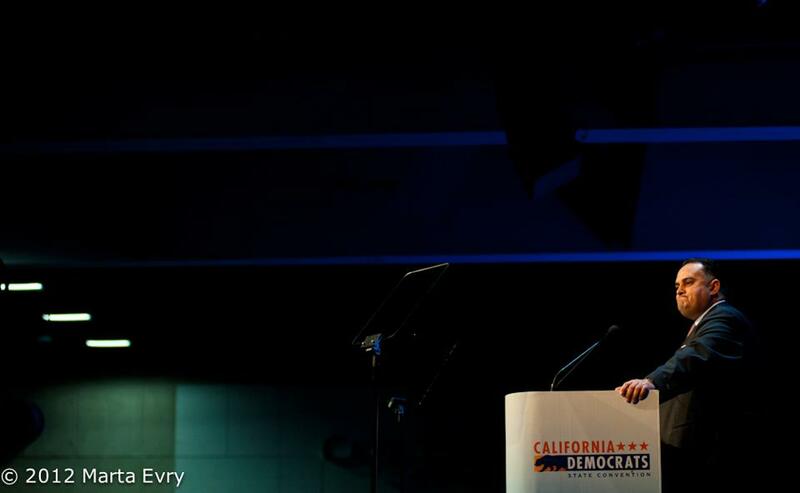 Muratsuchi received virturaly no support from Sacramento even as Perez publicly declared the Santa Monica/West Hollywood race his top priority, securing the California Democratic Party endorsement for Butler at the February convention, then directing or pressuring Assembly members, Sacramento unions, and PACS to dump over a million dollars into the safe blue seat. What that means in real-world terms is that while Sacramento squandered it's resources in AD50, there was nothing left over to help South Bay activists register voters or build any infrastructure to get out the vote. It's a deficit, that even if corrected now, will haunt the district through the fall. What remains to be seen is if Perez will bother to correct that deficit at all. In fact, it's far more likely he will continue this destructive pattern into the general election. Victory in November isn't assured for Butler. By all accounts, she proved to be a terrible campaigner in the AD50 race, relying almost entirely on Sacramento's largess to get her through the June primary. It's anyone's guess as to how she will do against Bloom, who has the advantage of real - not manufactured - incumbency in the district. As Sacramento contemplates even more draconian cuts to education, healthcare, social services and environmental protection, the legacy of these two races will be a stunning indictment of Assembly Speaker John Perez's lack of leadership and foresight.